The past few weeks have been incredibly productive writing-wise. I’ll admit that having a one-year old in the house has slowed things down a bit. Or a lot. But I finally seem to be finding my rhythm. That and I had a few weeks of actual summer break time to take advantage of. In a relatively short amount of time I have managed to get my total amount of words up to just over 60,000. My estimated goal for this sequel is 90,000. At the pace I am maintaining I hope to finish the rough draft before the end of September and move into editing. As everyone knows editing is the best thing ever. Super fun. Reading what was written over and over again and thinking how terribly everything is written and how I am nothing but a talentless hack. Sob. Drink. Sleep. Repeat. Well, that might be a bit of an exaggeration. There is the occasional paragraph I like. Once that first pace of editing is finished I am going to try and turn it over to some beta-readers who can take their turn at scraping off the badness and helping me tighten everything up. There have been a few people who have volunteered over the past year and hopefully a few of them will have time in their schedules around October. If someone reading this just really loves editing and would like to help with beta-reading feel free to let me know through Facebook. The goal is to hold another Indiegogo campaign, based on the success of my last one and lessons that I’ve learned from it. This campaign will either start in December or January. That hasn’t been decided yet. Ultimately I want the sequel to be published on March 15th, 2017. 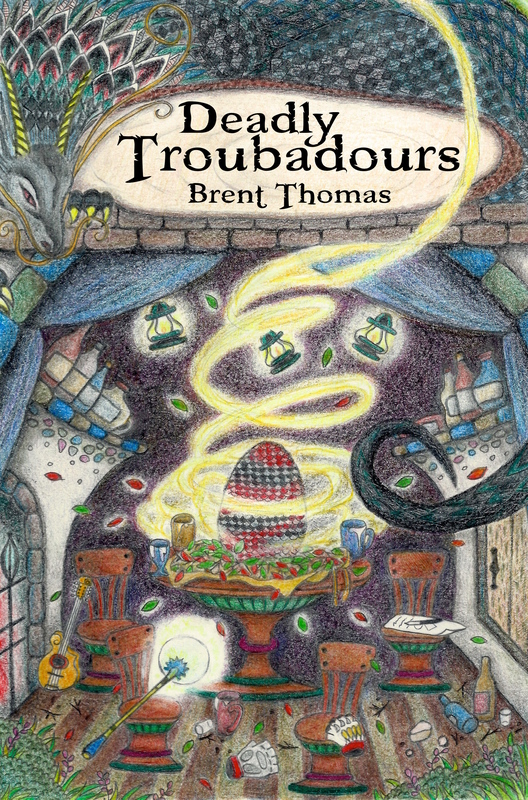 That will make it two years from the digital release of Deadly Troubadours. What can I say, I like patterns. But before any of that can happen I still have almost 30,000 words to write. No problem. Heh. Wish me luck. And dragons.